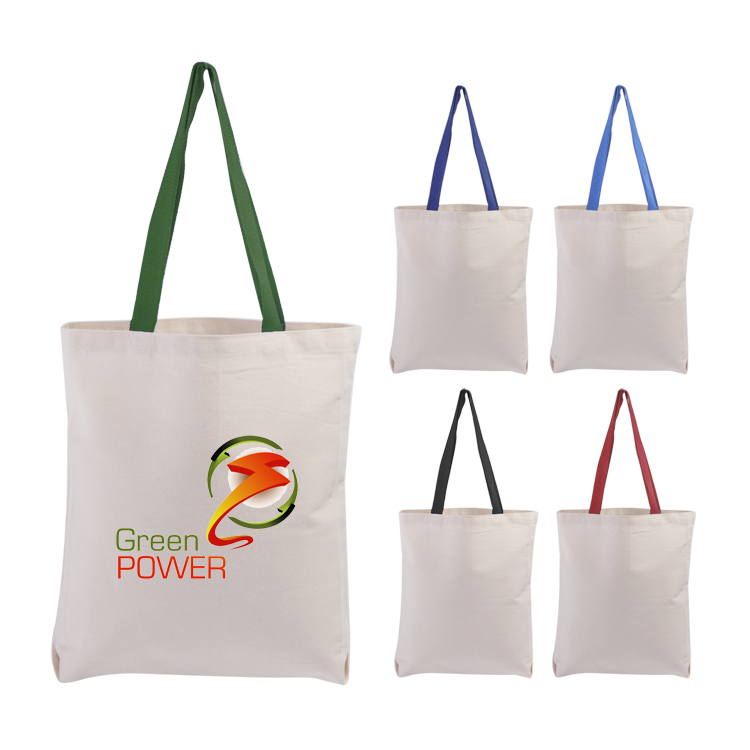 Made of clear PVC material which meets CPSIA and Prop 65 specifications for lead, phthalates and other heavy metals. 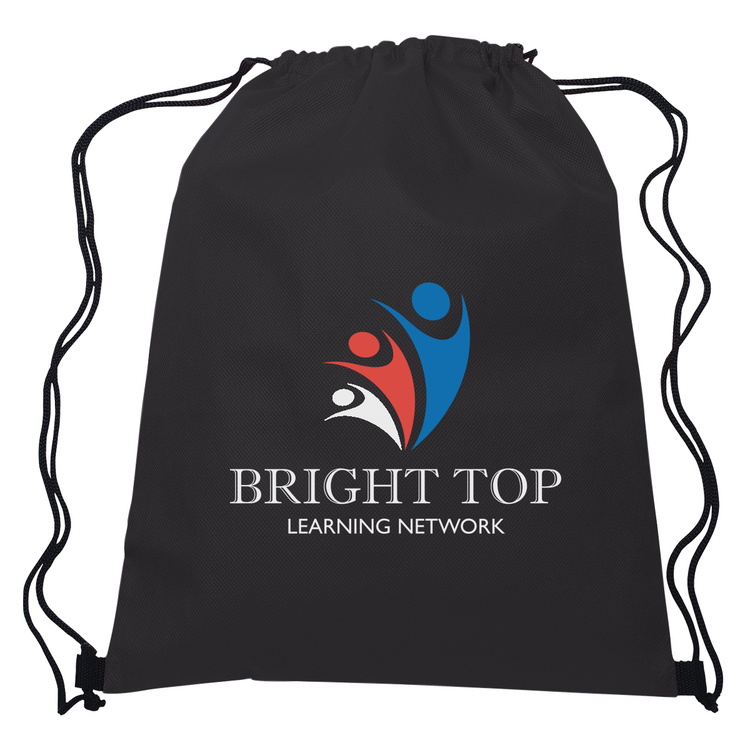 This useful and practical backpack is ideal for stadiums, events, schools and universities, the workplace, charity walks, all a must. 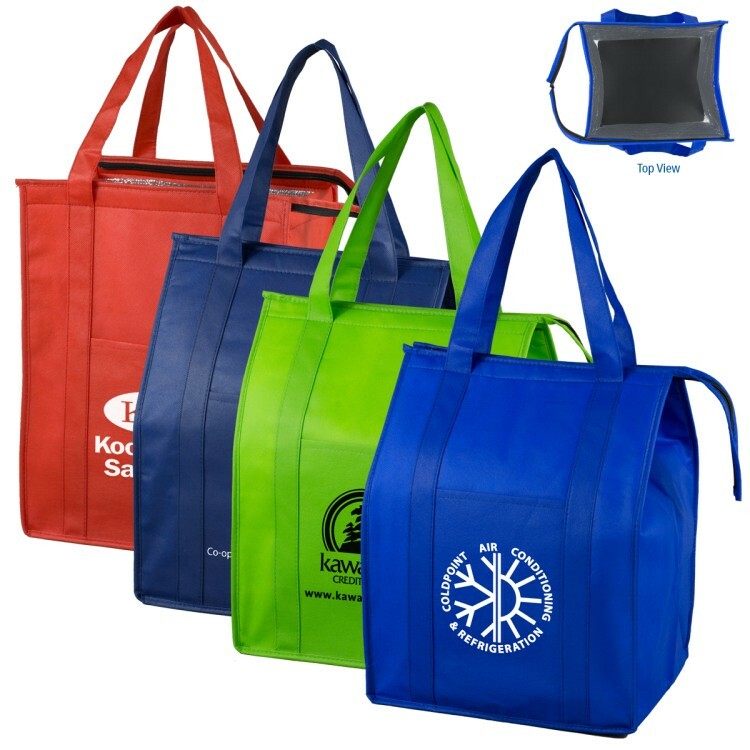 Reinforced corners, strong metal grommets and braided drawstring rope closure prevents tearing and increase bag strength. 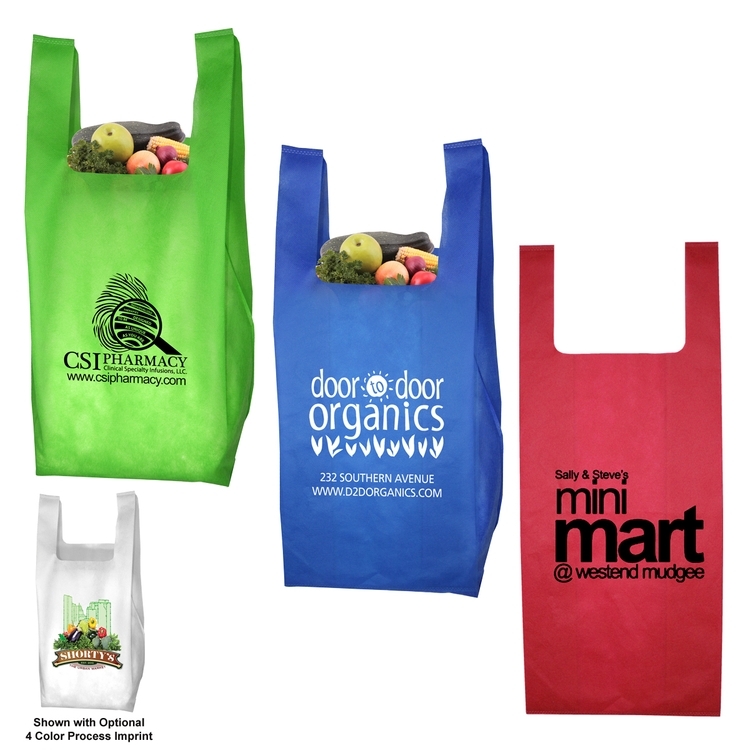 Attention, shoppers! 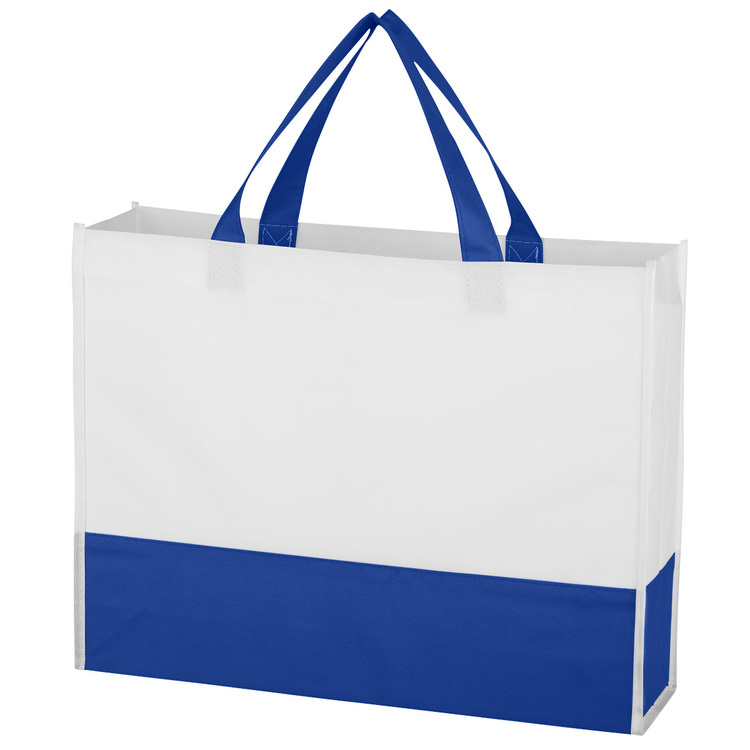 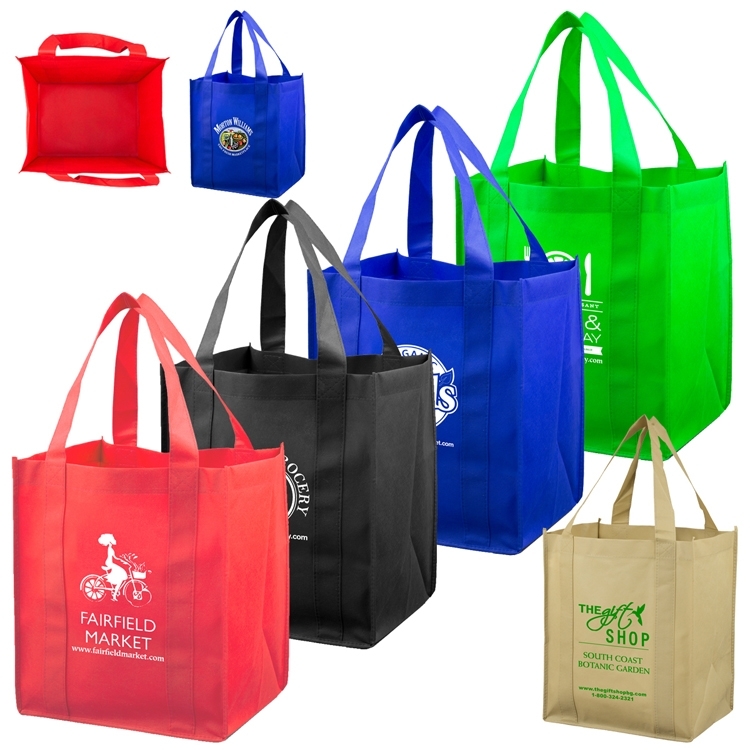 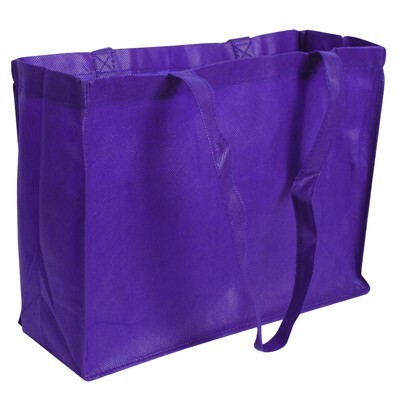 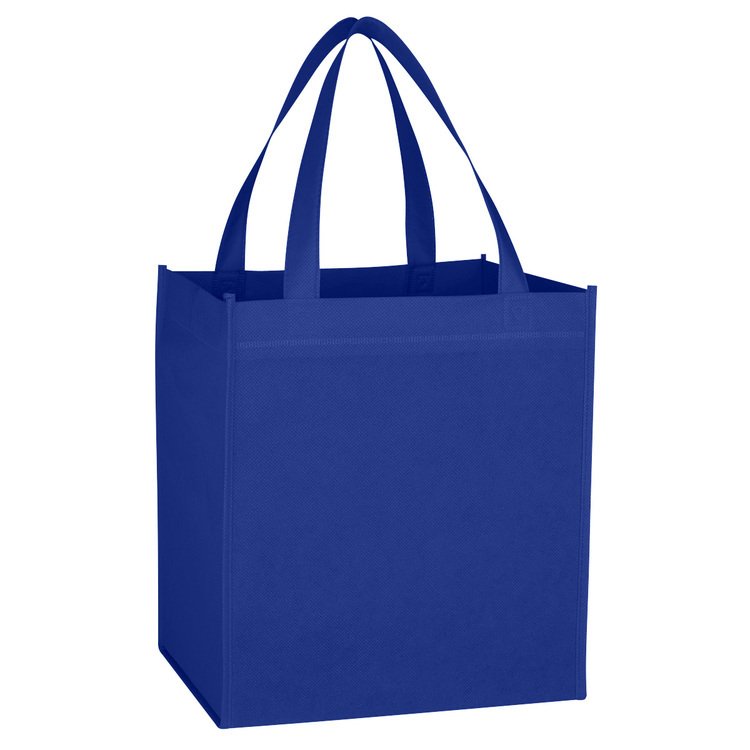 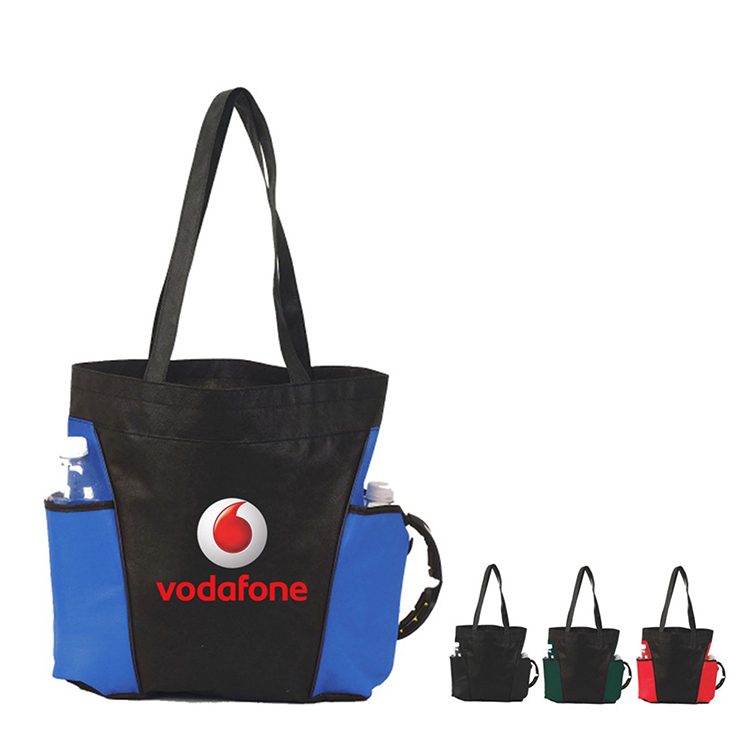 This jumbo shopping tote is made of 90+ GSM non-woven polypropylene and holds everything you need while you're enjoying a day out. 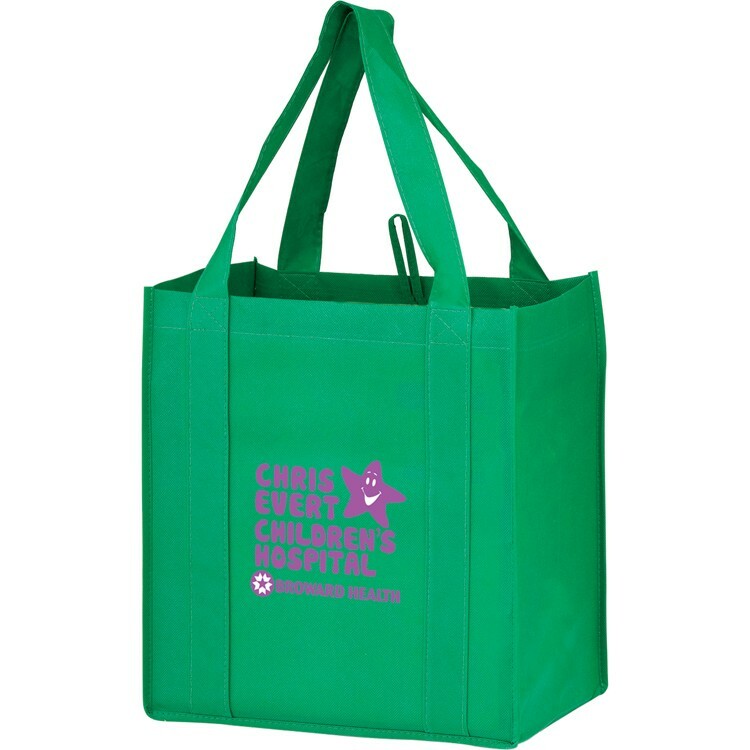 Measuring 17.75" x 14.25" x 4", this bag's capacity is ideal for trips to the mall, grocery store, or beach. 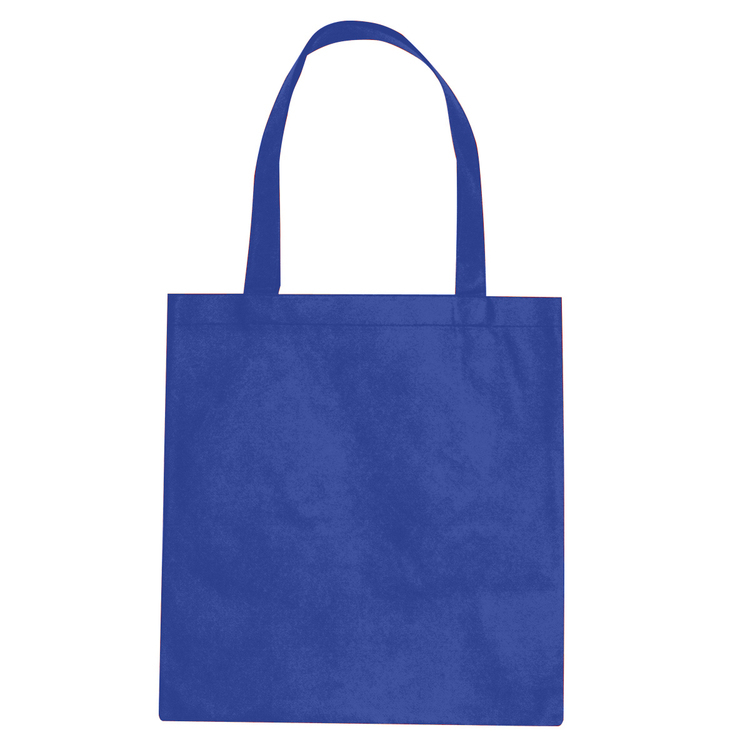 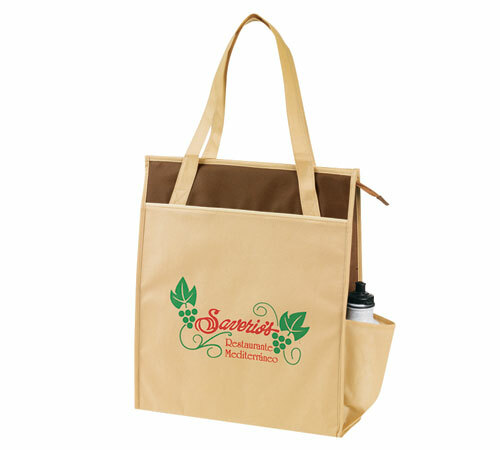 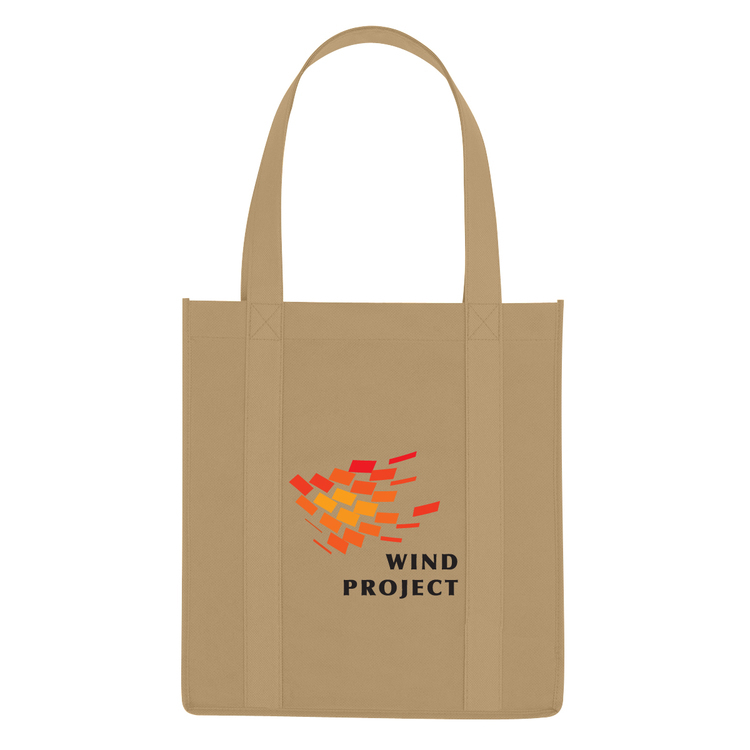 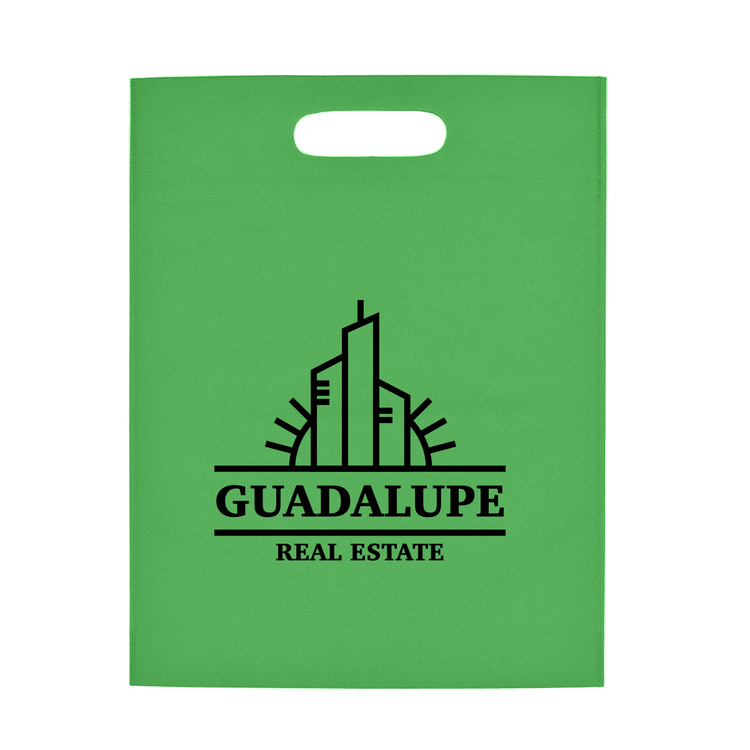 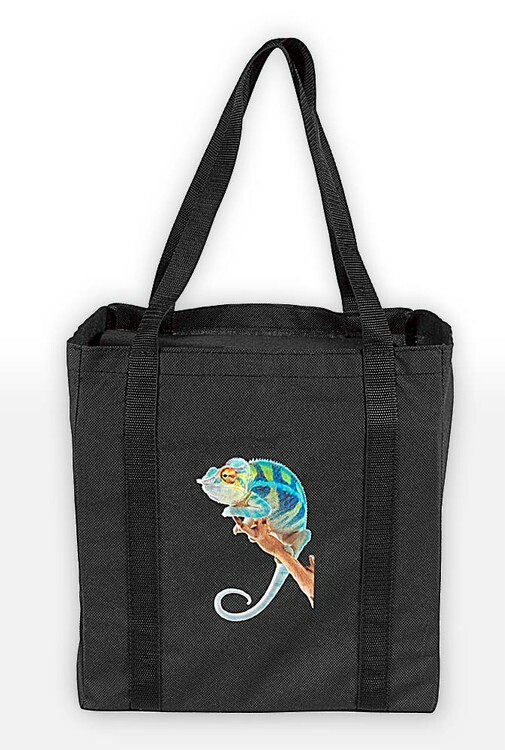 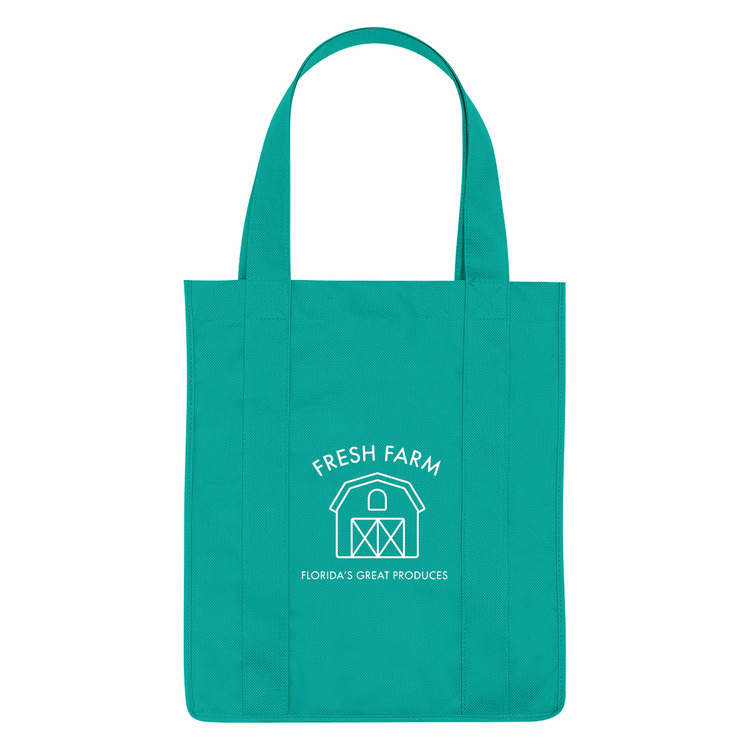 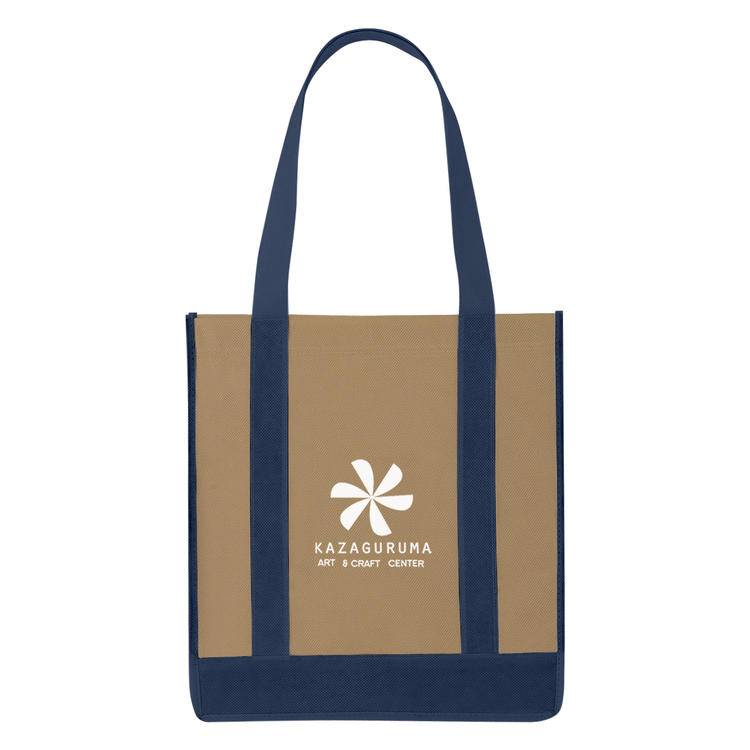 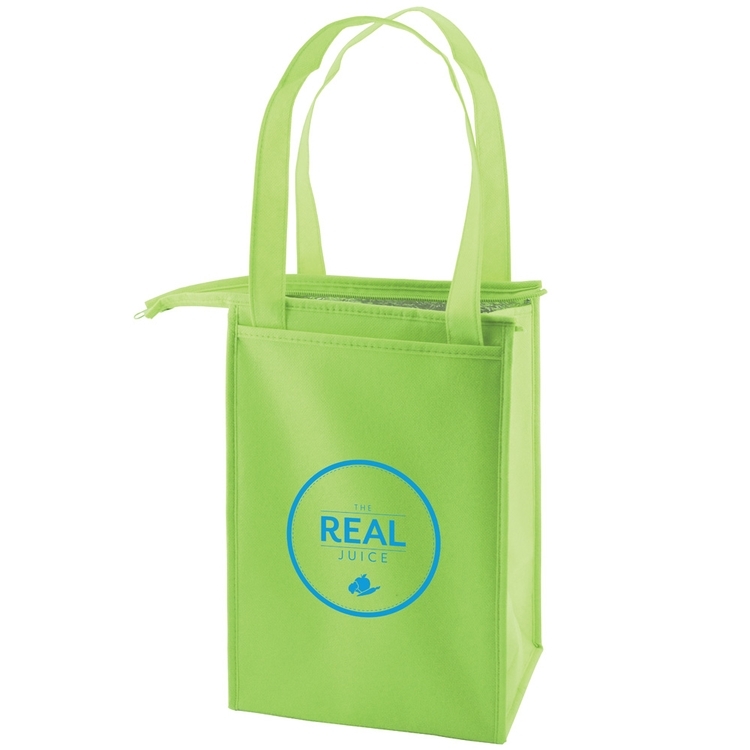 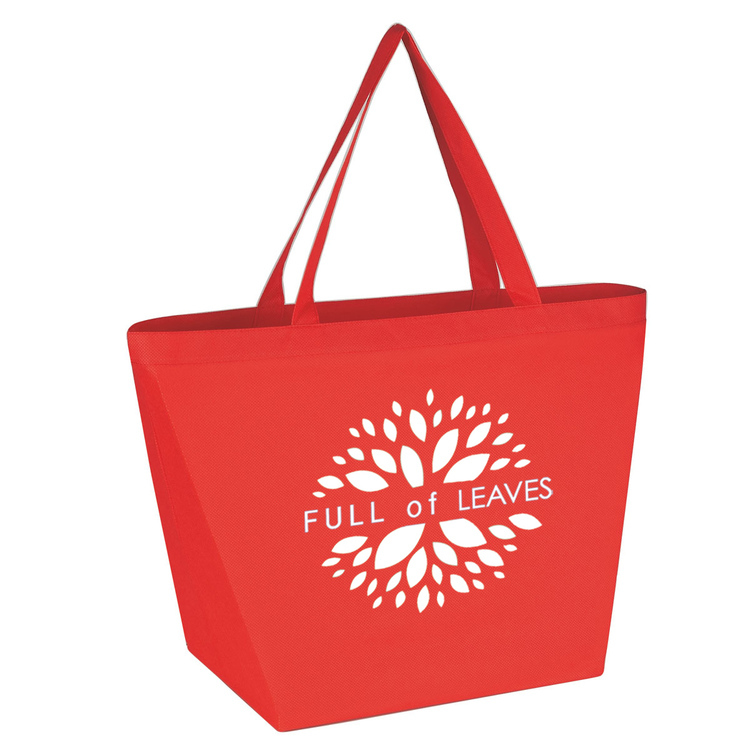 Its recyclable qualities make this tote the perfect promotion for eco-friendly organizations! 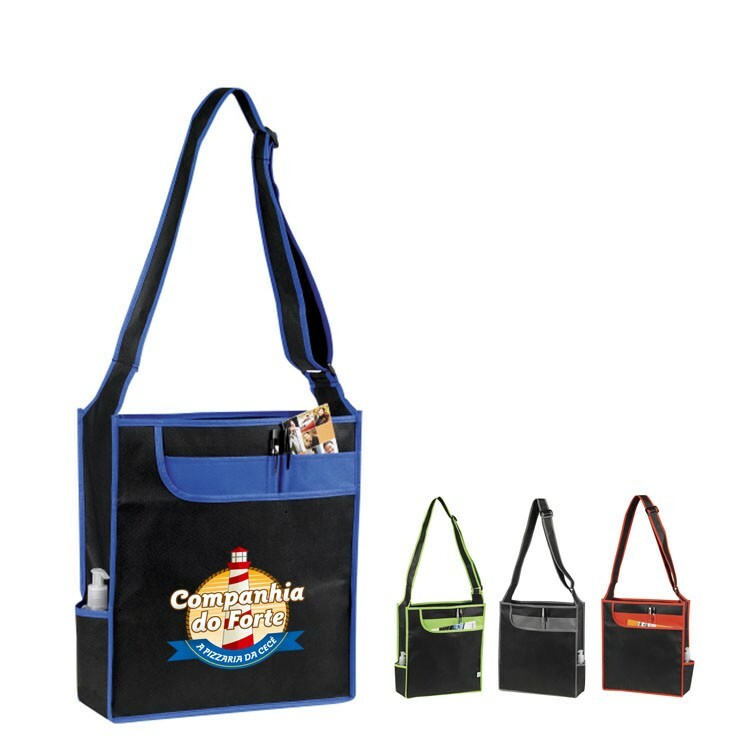 Features a generous 8" x 8" imprint size for customizing with your company name and logo. 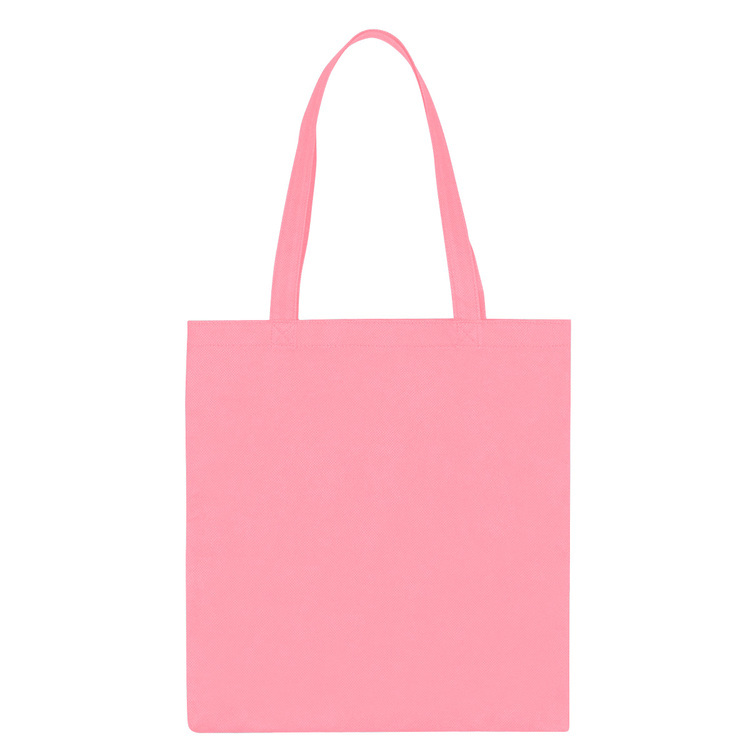 Read all about this! 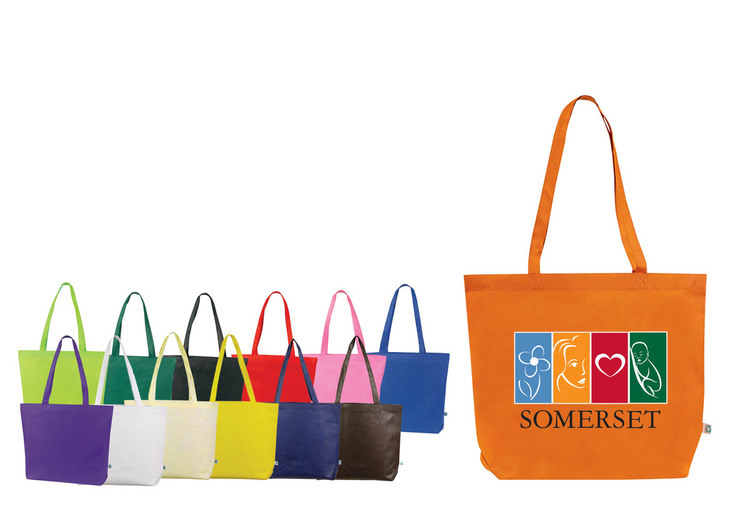 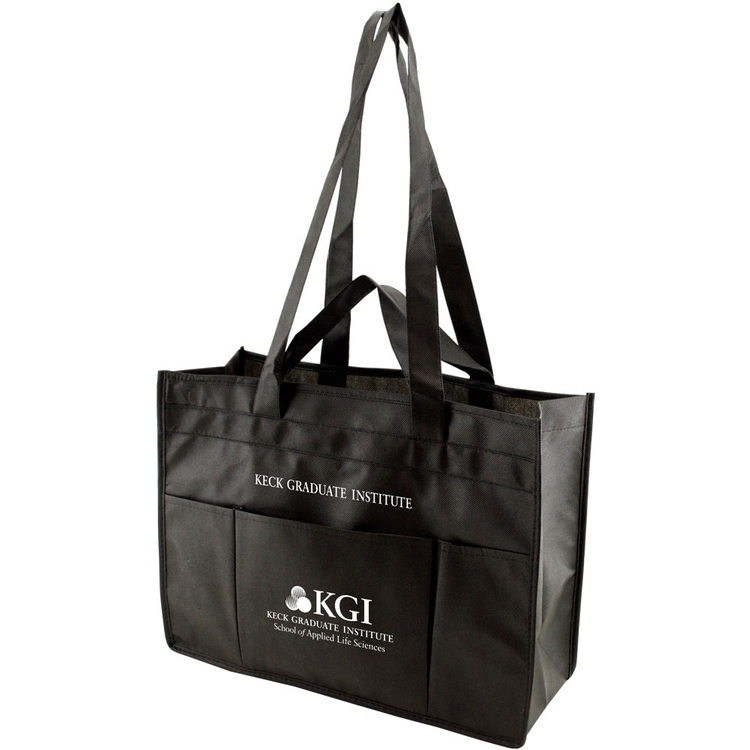 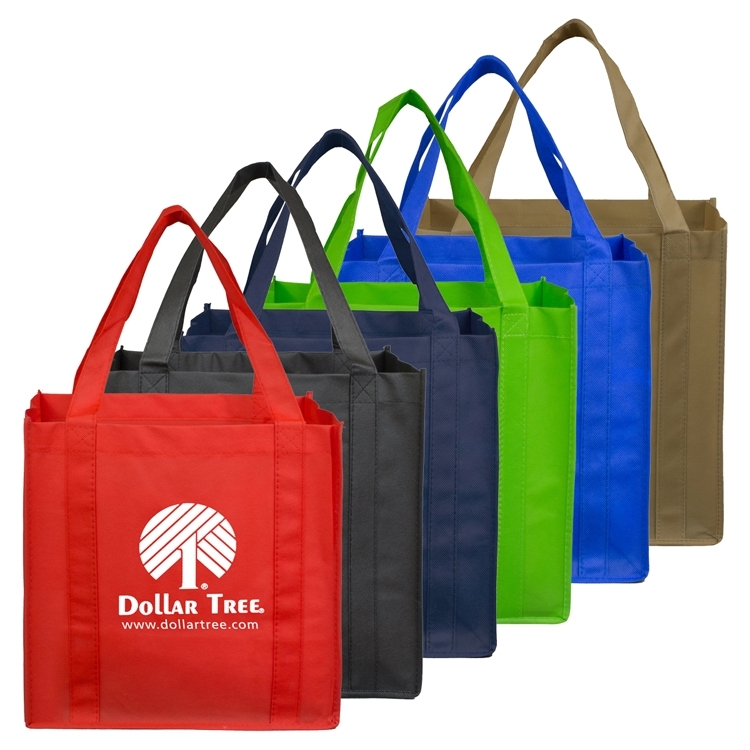 Perfect for conferences, tradeshows and marketing events, your recipients will appreciate this stylish, logoed tote! 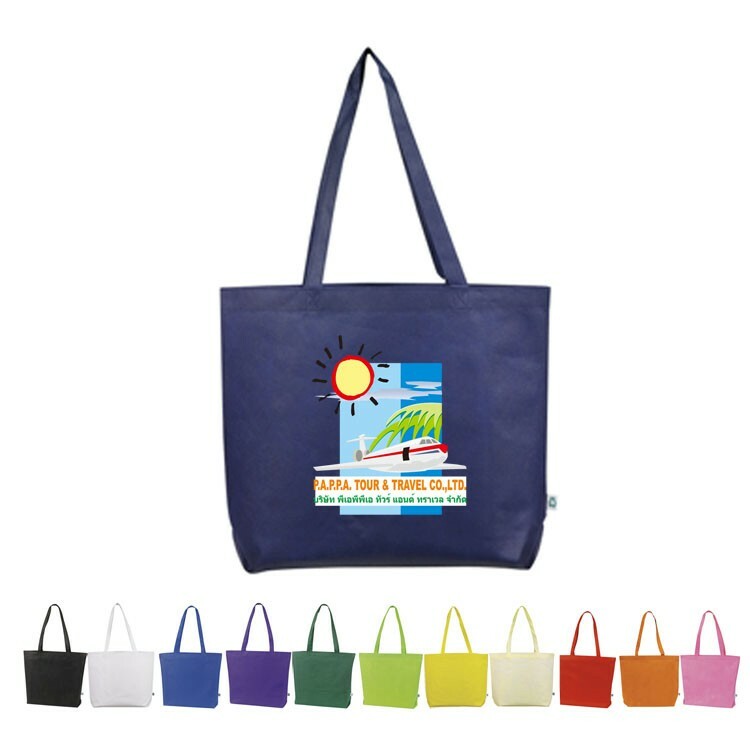 Constructed of non-woven polypropylene recyclable material, this colorful messenger shoulder tote features a large front pocket with built-in organizer, two open side pockets, pen holders and a drop-in covered board. 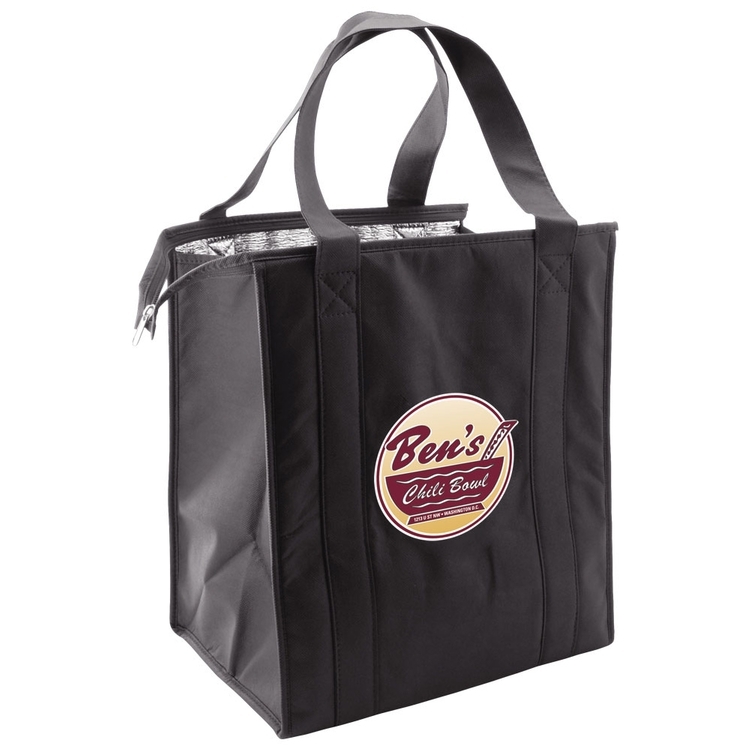 For a comfortable carry, the adjustable strap length is 30 to 52.5 inches in length. 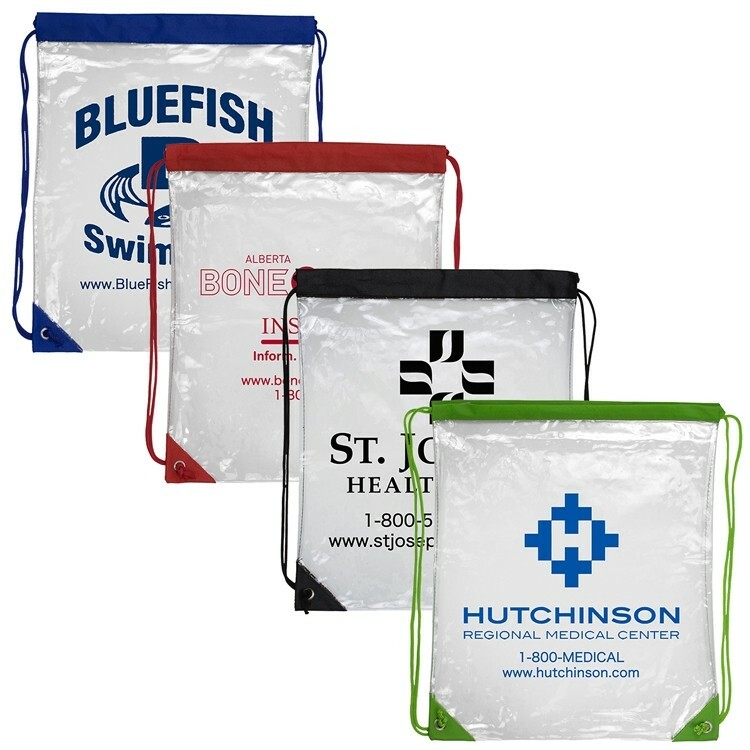 Make a big statement at your next special event! 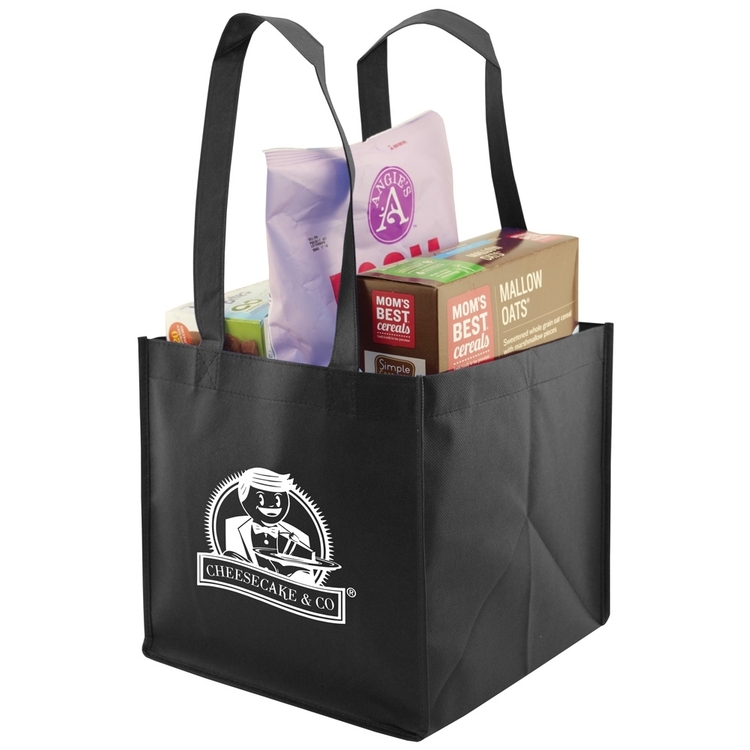 The Jumbo Pocket Tote is an extra strong tote bag with 2 side pockets for large bottles and 26 inch handle for convenient and comfortable carrying. 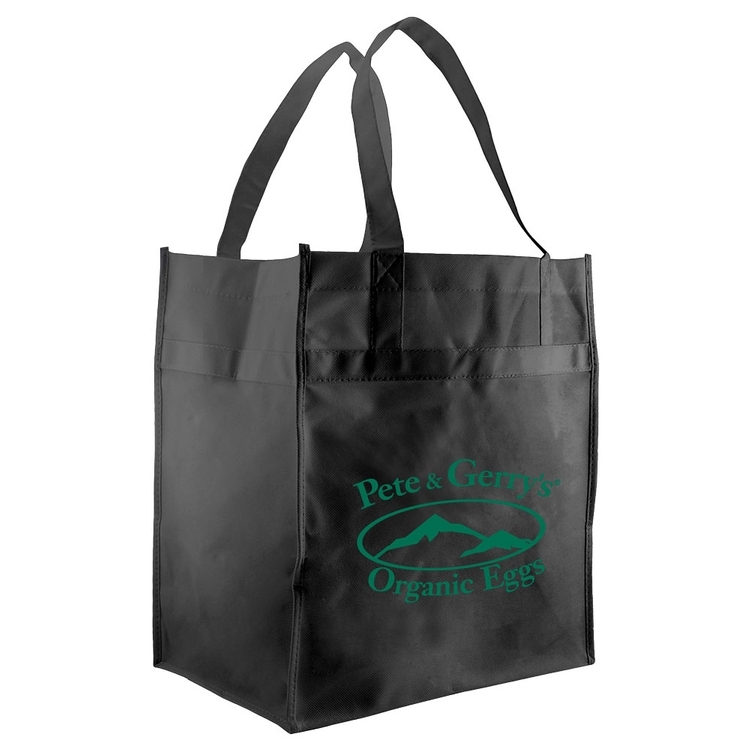 Constructed of non-woven polypropylene, this bag is made from recyclable material which will make it appealing for your eco-conscious clients. 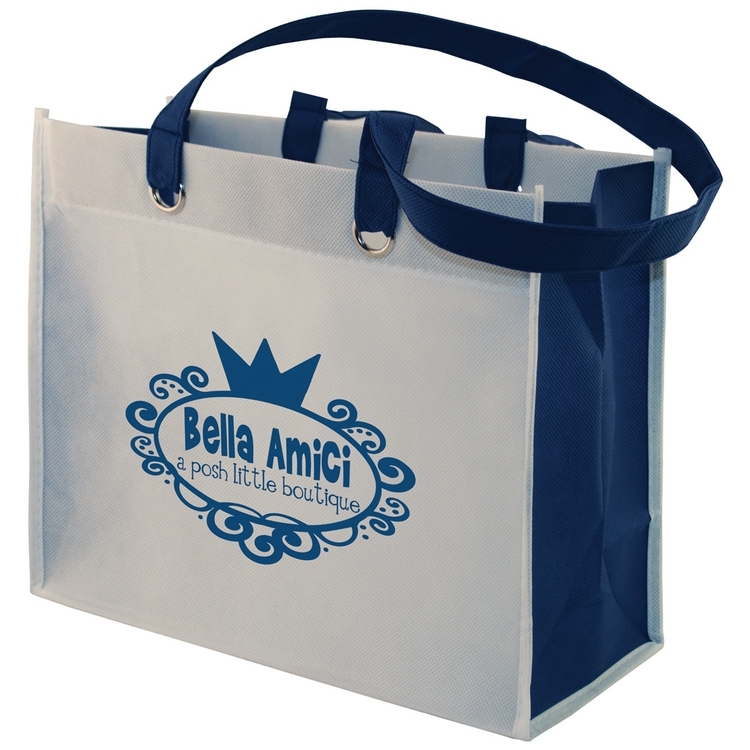 This bag is available in a variety of colors and can be customized to match your specifications.